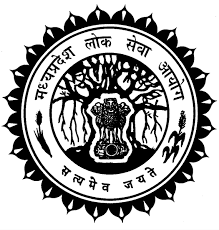 MPPSC Recruitment 2016: The Madhya Pradesh Public Service Commission is also know as MPPSC which has been published the advertisement to fill the 492 Veterinary Assistant Surgeon (VAS) post. The aspirant who are searching the latest govt jobs in Madhya Pradesh can apply the MPPSC Veterinary Asst Surgeon jobs 2016. The interested applicants must read the MPPSC notification 2016 to check the eligibility criteria. The eligible candidates can apply the Madhya Pradesh PSC Veterinary Assistant online application 2016 through the official site mppscdemo.in. Our indrajobinfo.co.in portal has issued the direct link for the MPPSC application form 2016 and notification. Name of the Commission - Madhya Pradesh Service Commission. Job Role - Veterinary Assistant Surgeon. Number of Vacancy - 492. Content Search - Madhya Pradesh PSC Veterinary Asst Surgeon Vacancies 2016. Job Location - Madhya Pradesh. The government of Madhya Pradesh, Public Service commission has been conducted the exam to recruit the eligible candidates for the required vacancies. There are nearly 492 jobs. This is one of the excellent job opportunity for the candidates, so the applicants can use the MPPSC recruitment 2016. Further information like educational qualification, age limit, selection process, how to apply, application fee and other details provided here. The aspirant can apply the Madhya Pradesh PSC Veterinary Surgeon application before the June 30th 2016. The applicants must complete the Graduation in Medical courses from any recognized university or institute. The age limit of the candidates must be minimum 21 years and maximum 35 year. The upper age limit will be applicable for the reserved applicants as per the govt rules. The selection of the aspirants in MPPSC Verterinary Assistant Surgeon vacancy 2016 will be based on the performance in the written exam (Preliminary/Mains) and shortlisted candidates will be called for the personal interview. For general candidates: Rs. 1200/-. For Reserved candidates: Rs. 600/-. The candidates will be get the monthly scale of pay Rs. 15, 600/- to Rs. 39, 100/- + grade pay. Visit the official website mppscdemo.in. Refer the Madhya Pradesh PSC notification 2016. If you eligible, click on the online application form. Opening date of online application form: 1st June 2016. Closing date of online registration: 30th June 2016. Madhya Pradesh PSC VAS Notification 2016 PDF. MPPSC Veterinary Assistant Surgeon Online Application Form 2016.